The UK-based agency Future Marketing Insights offers a 10-year forecast of the global yacht charter market (under 24m length) between 2016 and 2026. Valued at US$ 8.5 Bn in 2015, it is set to increase at over 7% CAGR (Compound Annual Growth Rate) through 2026, surpassing US$ 18 Bn in revenues. The growth is stimulated by the increasing number of wealthy individuals with high disposable income. They are the main providers of yachts on the charter market. Buying a boat they do not always have time to use their purchase. It encourages boat owners to offer the vessels for rent to other customers to compensate their maintenance costs. 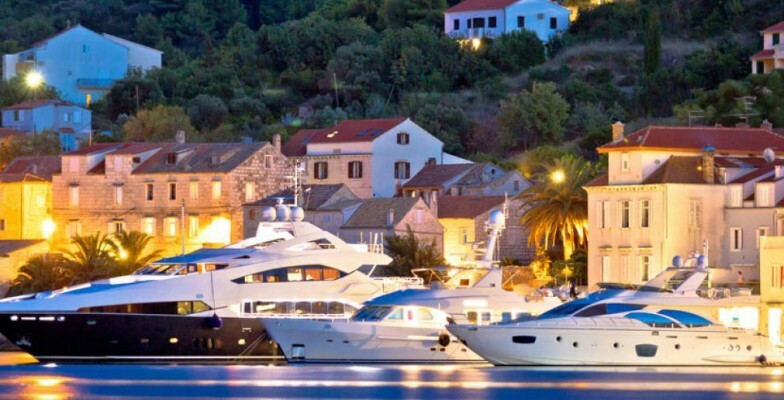 Along with the growing offer, the demand for yacht charter vacations is on the rise as well. Charter agencies widely promote this type of holiday venue in the Internet via their own websites and social media platforms. Today, renting a boat is as easy as a hotel and can be done within minutes. Popularity of short-term yacht cruises. In the research, the global charter market has been segmented by cabin, end-use, consumer, yacht type, mode of operation and region. On the basis of cabin, yachts have been divided into 2 cabins, 3 cabins, 4 cabins and others. Yachts with 3 and 4 cabins have accounted for more than 70% of the market’s value in 2015, but the next 10 years are forecasted to witness the most active growth of 2 cabin yachts’ share. The research has singled out the following types of charter yachts’ end-use: instructional, events, vacation, adventure and sports, honeymoon, and others. It has revealed that nearly 80% of charter customers are vacationers. Although by 2026 this figure is expected to decrease by less than 1% due to the rising popularity of yachts being used as corporate venues across the globe. Based on consumer type, the market has been segmented into corporate and retail. In the next 10 years, corporate segment is anticipated to witness a faster growth than retail. Retail segment was further sub-segmented into individual, family / group, couple and others. In 2015, the vast majority of charter bookings were made by families / groups resulting in over 65% share of the market’s value. All yachts of the global charter market have been divided into motor and sailing. Sailing yachts boast an ultimate leadership – they constitute more than 80% revenue share in 2014. This being said, researchers are predicting less than 1% decline in their share by 2026. The research has singled out 2 types of yachts’ operation mode: operational and bareboat. In the next 10 years, the number of bareboat charters is expected to grow faster than operational and to keep its dominant position. Today, the Mediterranean is the leading region of the charter market that contributes over 40% into its total revenue. It is followed by the Caribbean region with 30% of the global market in 2014. Researchers forecast Asia Pacific region to be the fastest growing yacht charter market in the next 10 years.